A performance investigating love and all the contradicting feelings connected to it. It’s an interactive 4D experience that includes and activates all senses. How does a broken heart smell? How does a cold shoulder sound? 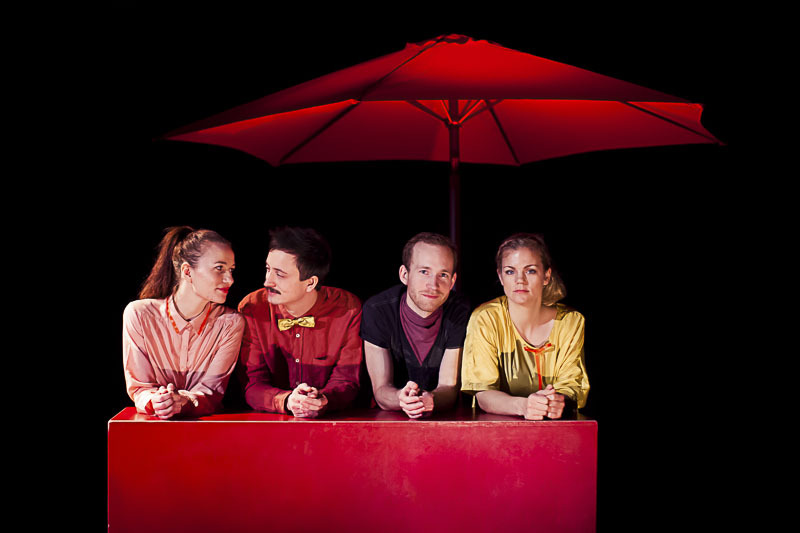 Heartbeat invites you to enjoy a drink with aphrodisiac ingredients, served from a bar where the love life of four youngsters is played out and love is explored. How does stormy infatuation taste? How does sweet music feel? And what does blind love look like? The meeting point of the four youngsters is the bar – this is where they work together. But outside the bar, they come from diverse walks of life and have had different experiences with love. Their meetings in the bar set off the emotions and stories of the performance. Passion, happiness, longing, insecurity, jealousy, pain and sorrow. Is love new when you’re young? Or can you draw a line all the way back to Venus, Cupid and Psyche.